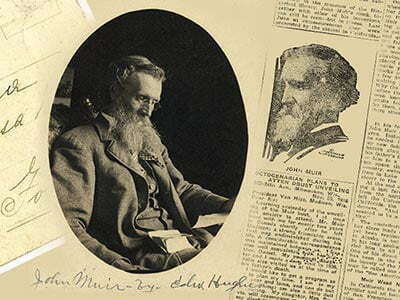 Muir sought to persuade people through his writings – letters, journals, articles for newspapers and magazines, and twelve books. The quill pen became his sword in the battle for conservation. Friends’ of John Muir’s Birthplace new exhibition, ‘John Muir, Writer’, tells how it came about.